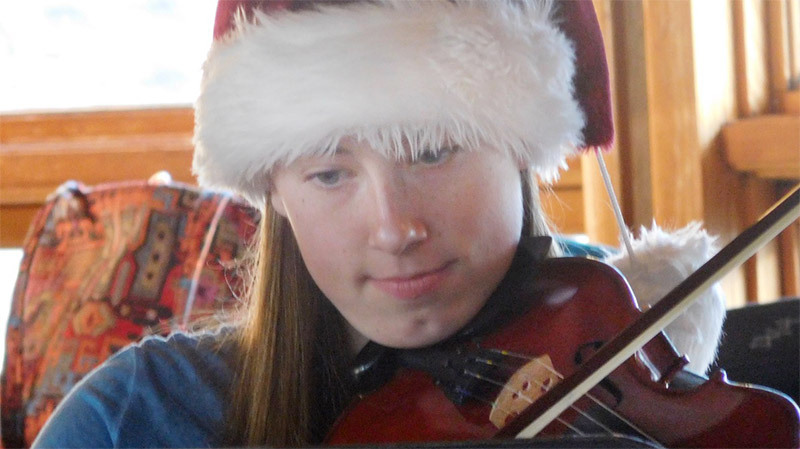 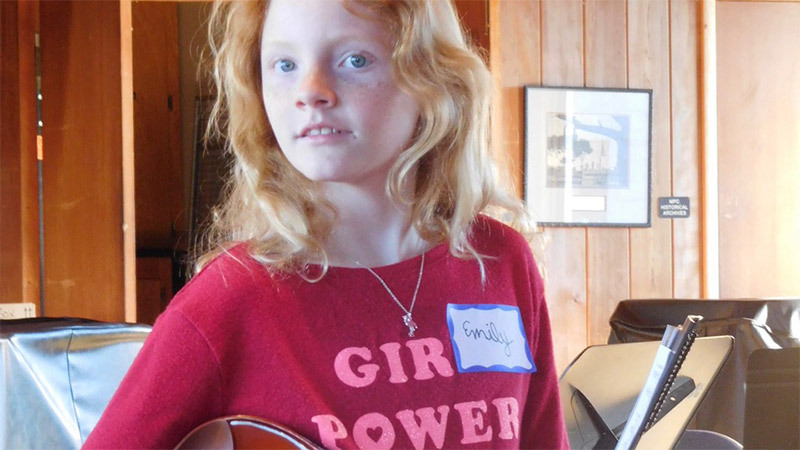 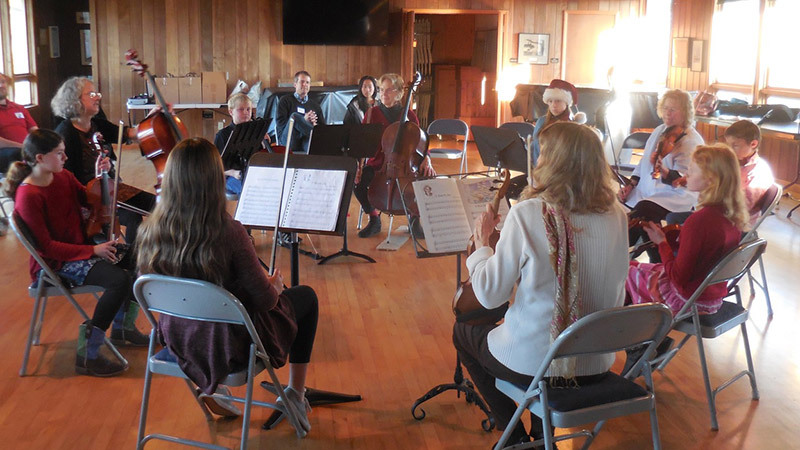 Symphony of the Redwoods musicians and their students enjoyed a Holiday Playing Party December 17 at Preston Hall in Mendocino. 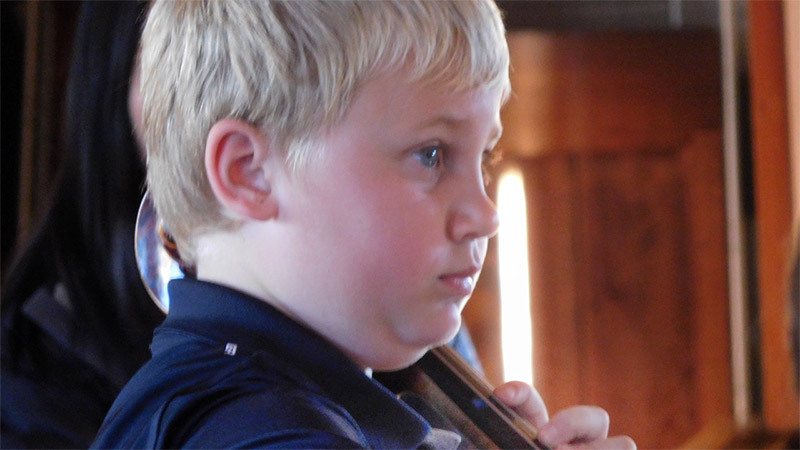 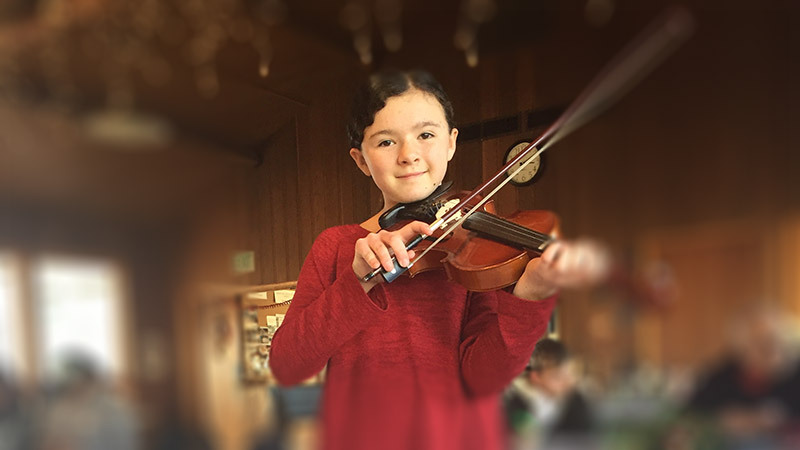 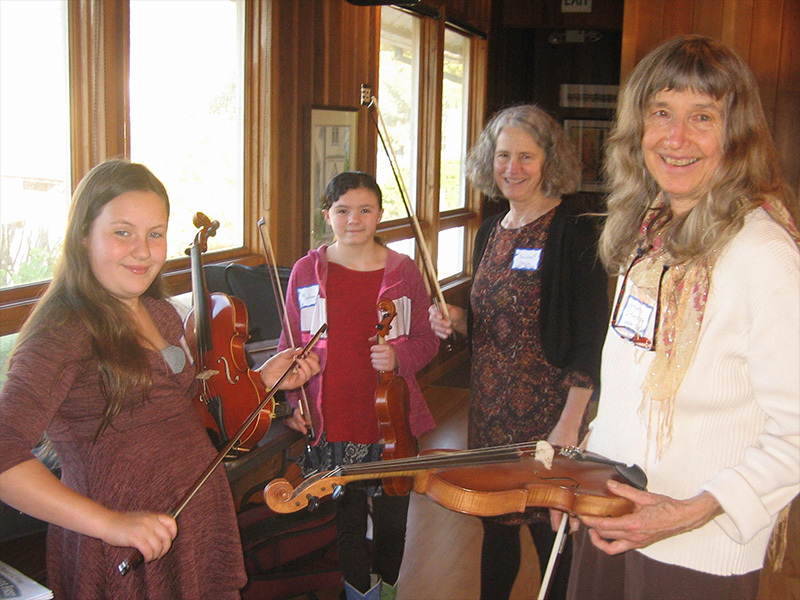 As there are no string classes available in the public schools, orchestra members Sandra Cosca, Joselyn Bartlett, Virginia Sharkey, and Marcia Sloane invited budding violinists and cellists to share the joy of ensemble playing, refreshments and games. 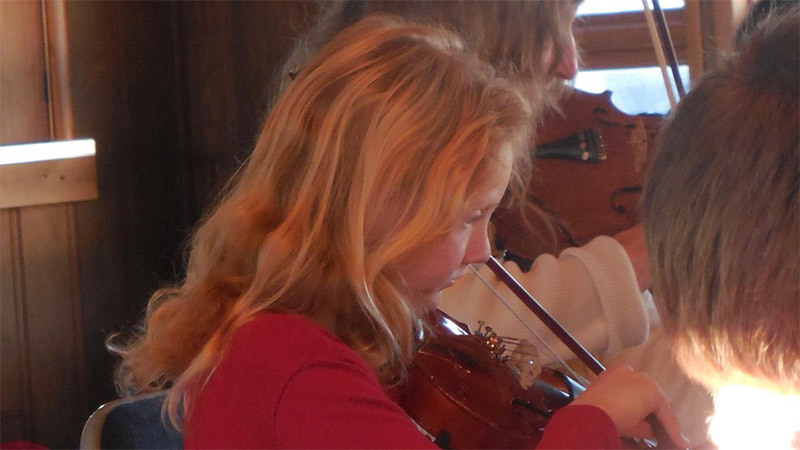 Siblings, parents, grandparents, and friends were all impressed with the beautiful sound of the simple arrangements. 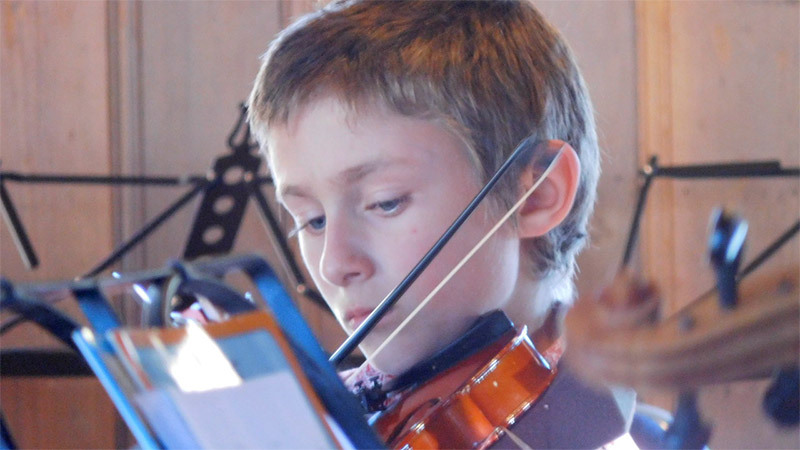 The hope is to foster a sense of musical community among the individual students, and to have more such gatherings in the future. 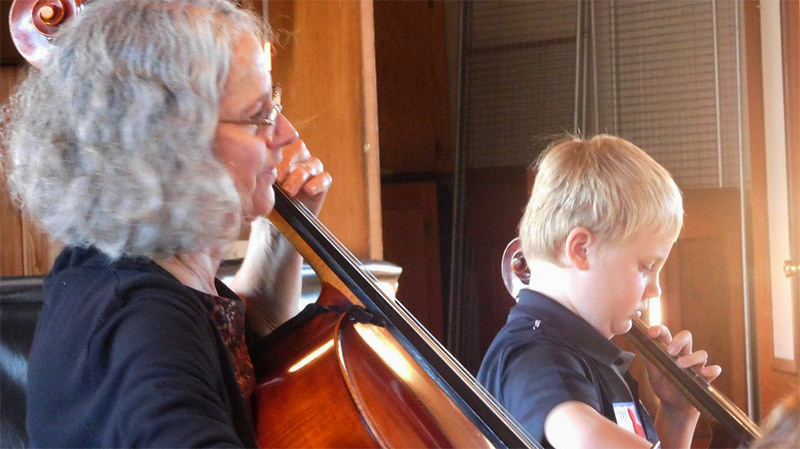 Special thanks to Pastor Matt Davis and the Mendocino Presbyterian Church for the venue and support of musical education for children.